July 21, 2008: That was the day I took this photograph up at the little house. Then no flowers the next July, nor the next, nor the next, and so on. Until last week. I walked up with a friend to cut some tea plant (Camellia sinensis) and winter honeysuckle (Lonicera fragrantissima) for an arrangement at church (the former blooms in fall; the latter in winter, but the foliage is only pretty in summer). As I walked past the 'Limelight' hydrangeas which the deer had shredded (they left two blooms on three large bushes), I noticed something pink. The Lycoris squamigera (a.k.a. surprise lilies, naked ladies) had come back after all these years. There were only two stalks a few feet apart, but it was still thrilling to see them again. These are bulbs I brought from my great-grandparents' house out on the Chattahoochee River in south Fulton County. In the 1990's (or was it the late 1980's? ), my aunts and uncles and their cousins decided to sell the pre-Civil war house. This is where we had family reunions when I was a child. We gathered there every August and ate barbeque from Melear's (the real one in Union City) and picked scuppernongs from the grape arbor. I loved running up and down the narrow staircase and staring at the giant, thin spinning wheel that sat on the top landing. My great Aunt Abbie and her husband lived there. They had no children, but had left everything to their nieces and nephews. There were nine children in my mother's immediate family alone, and no one came forward to buy the Southern saltbox house and the acreage (greatly reduced by Aunt Abbie) that went with it. When we all gathered for the auction, I came away with a milking stool, three wooden chairs with seats of woven oak strips, Aunt Abbie's sheet music (some classical, but mostly syrupy romantic pieces from the early 20th century), a wooden planter with splayed legs and a feed sack with a chicken stamped on one side. At the time I had a housekeeper, and I have never found where she put that latter piece. I hope one day I'll find it, but that doesn't seem likely. She probably thought it wasn't very valuable, but I thought it was charming. Oh well. A couple of my cousins and I dug some dull yellow iris, some sweet williams and the Lycoris squamigera bulbs. I threw all the bulbs into some sand under my terrace. In July, I looked, and there were three pink lilies blooming, right there on top of the ground. I did plant everything. I lost the dusky yellow iris, but the pink naked ladies came up faithfully for several years. Then nothing until this year. I don't understand these flowers. Why did they come up this year? Was it all the rain? I have long since cleared out around them so they'd have no competition in the summer. Every winter, the foliage has come up thick and healthy. But then no sign of the lilies in July. I've talked to one of my cousins, and hers have faithfully appeared every year. Somehow, I feel more and more distant from this past. I haven't been out to the cemetery at Providence Church where all these people are buried. And, I can't bear to go by the house. Aunt Abbie gave me an oak egg basket and a dark green butter churn way before the auction. Someone like an American Picker came by long ago and took the giant spinning wheel. It had been gone way before we had the auction. I have been away from this blog for a while. 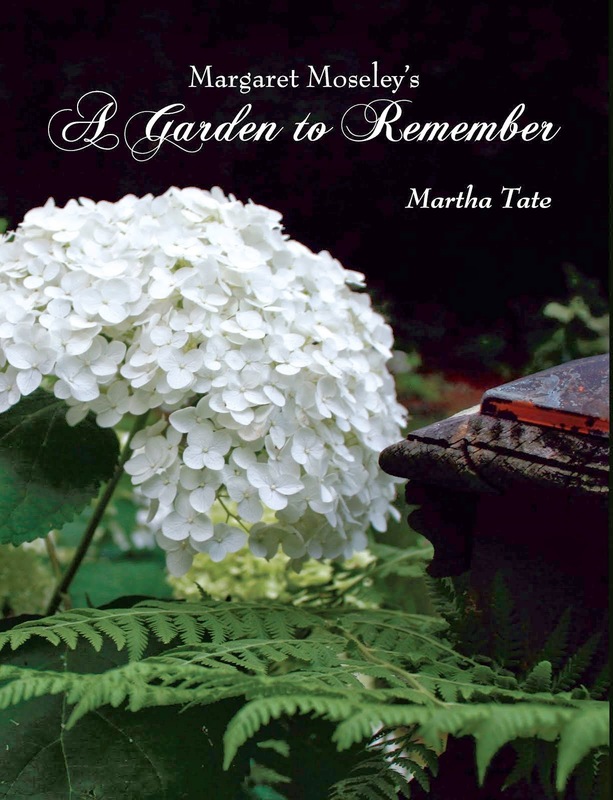 I was gone most of June, but then I worked all during July finishing a book about Margaret Moseley's garden. My part is done now, and the graphic designer is working on the layout. But, I hope to make a comeback. I still have thousands of pictures of gardens I'd like to share. I don't plan ever to be gone as long as the surprise lilies were, and if all goes well, I'll be back on a regular basis. I had sort of given up on the lycoris, but I hope you won't give up on me.